"We don't want your arms or legs...Just your TOWS"
The Southern Tier's First Choice for 24 Hour Emergency Towing and Roadside Assistance! 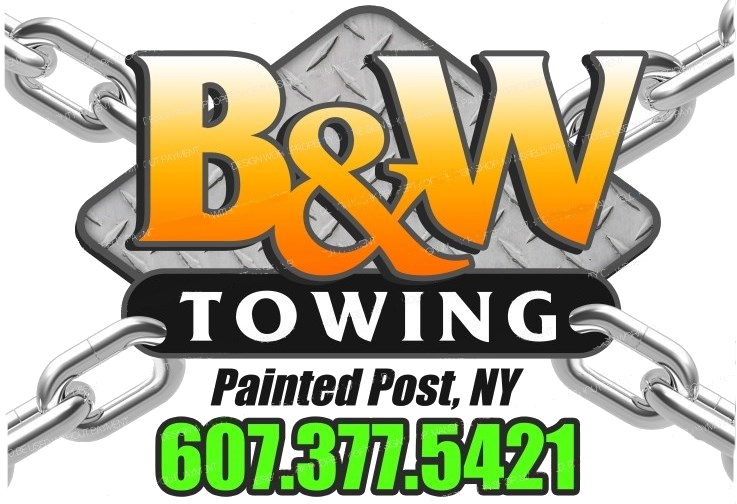 Thank you for choosing B & W Towing! We are on our way to making the southern tier a fair place to start and maintain a local business! When you choose B & W Towing you're choosing a small family owned business! NOT corporate greed! We are from this community, and we know this community! Our friendly, helpful, knowledgeable team will work to provide you the best possible service at fair prices. We take pride in the work we do, the service we provide, and the culture in which we do it. We are here to serve YOU!